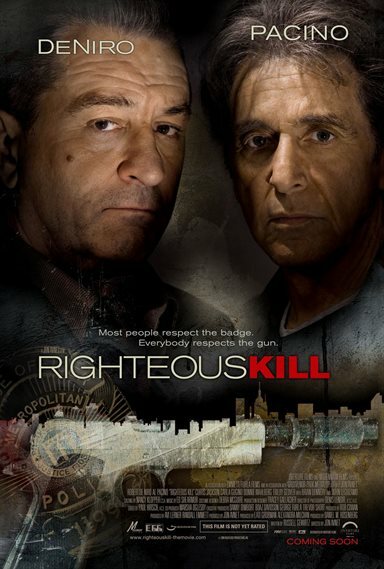 Download Righteous Kill in Digital HD from the iTunes store. Righteous Kill images are © Overture Films. All Rights Reserved. Al Pacino and Robert De Niro, two names that are synonymous with the silver screen, both starred in the "Godfather II" film, but never had any scenes together. 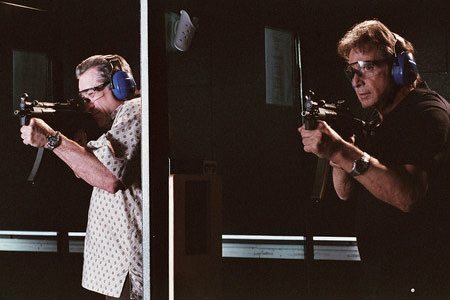 In 1995, both appeared in Heat by Michael Mann and ever since then, moviegoers have been clamoring to see these superstars do a film together again. This September, they had their chance with the new film by Jon Avnet (88 Minutes) called Righteous Kill. Two veteran detectives (Robert De Niro, Al Pacino) hunt a vigilante whose crimes resemble those of a killer they put behind bars long ago. 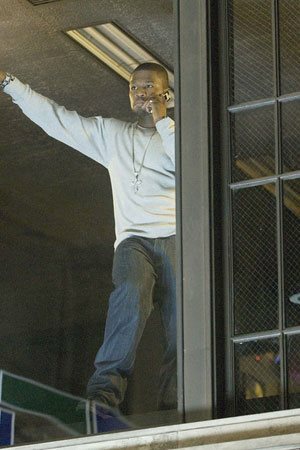 The film also stars rapper 50 Cent, Carla Gugino, John Leguizamo, Donnie Wahlberg, and Brian Dennehy. 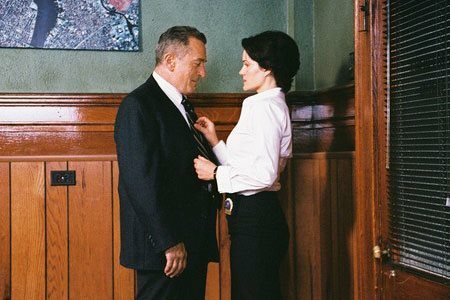 The basic plot of Righteous Kill is your typical police story with a serial killer who is supposedly a detective taking justice into his own hands. In lesser hands, this film would've just been swept up with the normal fare that comes out in September. 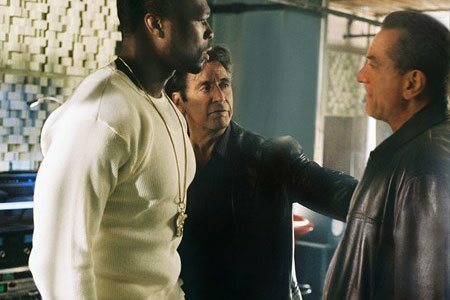 However, since this film showcases such talent as Pacino and De Niro it has gotten a lot of attention. Sadly, neither Al Pacino nor Robert De Niro can save this film from its utter failure. Director Jon Avnet seems to be following the same bland and uninspiring directorial techniques used in the thriller, 88 Minutes. The film's story is quite weak and it relies solely upon its actors to deliver something that is at least comprehensible for the audience. Which, I do have to tell you, the actors do to the best of their ability, however, with a weak script and a director who does not know what he's doing, the film still falls short. While it was a joy to see Al Pacino and Robert De Niro on the big screen, this is not the reunion this reviewer was hoping for. Hopefully, before their careers are totally finished, we will see them come together in a worthy performance that is fit for two great actors. 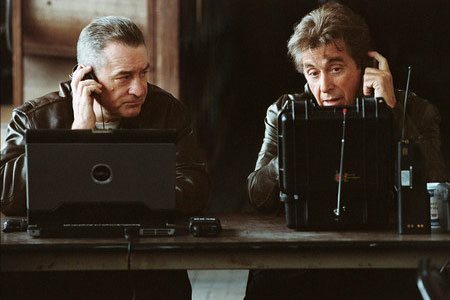 If you have an afternoon to kill, please, by all means go see Righteous Kill. If you have something better to do with your time, I suggest doing that instead. Righteous Kill images © Overture Films. All Rights Reserved.